2015 was a very exciting year for geek culture, but now it is coming to an end. So what’s next? 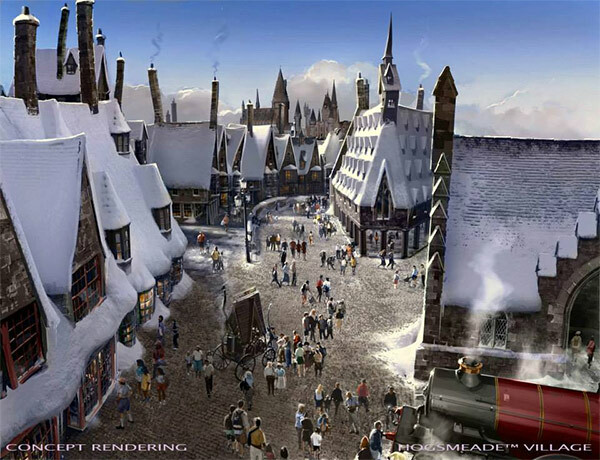 In April, we will get to see Hogsmeade, Diagon Alley, and Hogwarts on the west coast, which for me being a California resident is very exciting! Get me on the first train there in April and I will be a very happy muggle. Continuing the Harry Potter excitement, FBAWTFT will be released in November, and every Potterhead will be standing in line for a midnight premiere, myself included. In the mean time, you can read my post on what beasts I want to see in the movie. Video game movies have never been the best, unfortunately. But, hopefully, Assassin’s Creed does not follow in the previous footsteps. I enjoy the franchise and the story, and I think that it can transfer to the big screen well if done correctly. We’ve seen quite a few trailers for Suicide Squad, and it always looks amazing. We so often see the heroes on screen, but now we can focus the darker characters, the villains. And with Marvel dominating the film side of superdom, DC needs a strong film, and Suicide Squad might be it. What are you excited to see release in 2016? Let me know below. That would be exciting. I would go to canada for harry potter! There’s an old abandoned amusement park about 4 blocks from my house. The Wizarding World could happily take that over, then go to Kings Island as ‘dessert’. Just saying. I’m excited to see Suicide Squad as well as the new Deadpool movie. But, totally would LOVE a Harry Potter world in Canada. My boys are going to flip for an Assassins Creed movie. Wonder what the rating will be?! Sounds like you have some fun time ahead with Harry Potter World! So fun! I can’t wait to get to “Harry Potter World,” as I like to call it, east or west coast 🙂 I just love the idea of feeling like you’re in the book/movie. I’m interested in Suicide Squad and Fantastic Beasts too! Seems like it’ll be a really entertaining year. What? There’s more than one trailer released for Suicide Squad? I’m super jazzed for that :-). The Suicide Squad looks pretty cool. I will definitely be checking that out! Very excited for Fantastic Beasts! I’m also excited for the Deadpool movie, Captain America Civil War, X-Men Apocalypse, Alice Through the Looking Glass, Ghostbusters, Star Trek Beyond, A Monster Calls, Moana, and Star Wars Rogue One – so much cool stuff coming out this year! I’m really excited about Suicide Squad and Assassin’s Creed!